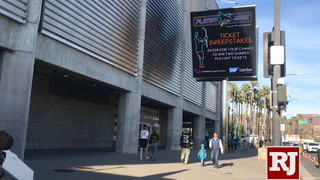 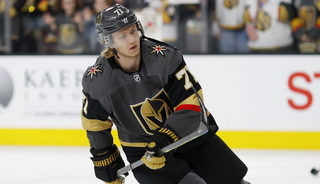 Oscar Lindberg was still skating at City National Arena when the rest of the Knights learned he had been traded to the Ottawa Senators as part of the deal to acquire Mark Stone. 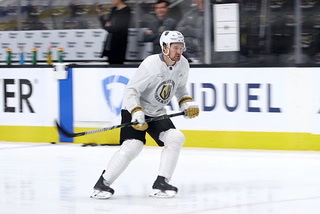 Oscar Lindberg lingered on the ice after practice, firing puck after puck into an empty net. 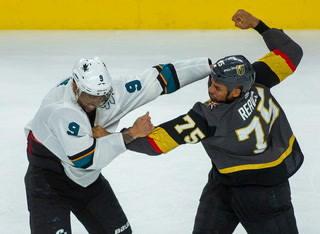 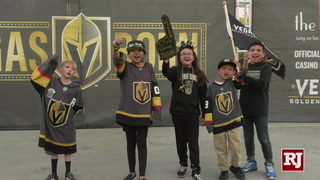 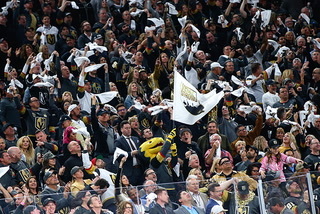 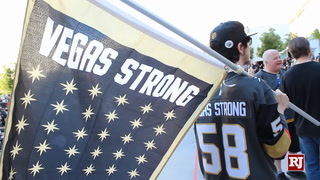 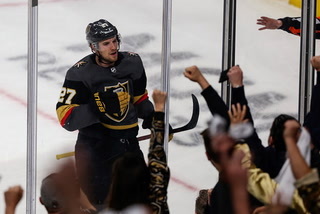 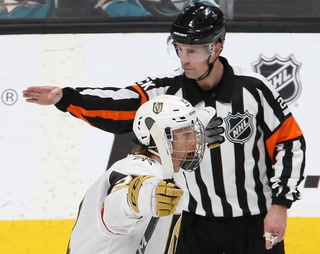 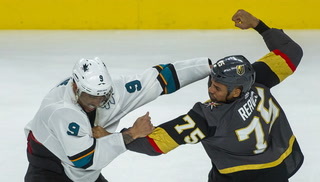 He had no idea those moments would be his last in a Golden Knights jersey. 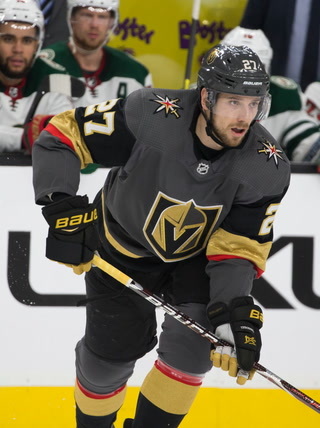 A floor above at City National Arena, general manager George McPhee was finalizing a deal that would send the 27-year-old Lindberg, along with prospect Erik Brannstrom and a 2020 second-round pick, to the Ottawa Senators for winger Mark Stone. 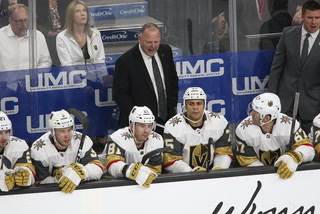 And down a hallway, Lindberg’s ex-teammates were learning about the trade before him while watching TV in the locker room. 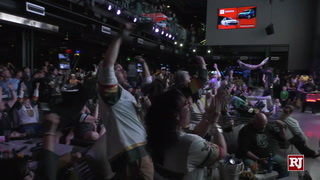 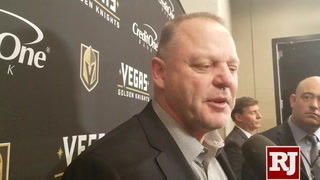 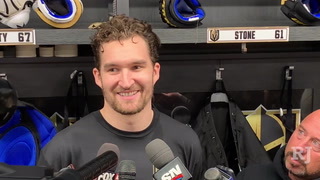 The moment showed the human side of Monday’s trade deadline, because the Knights’ excitement over their new teammate Stone was mixed with sadness for their old one. 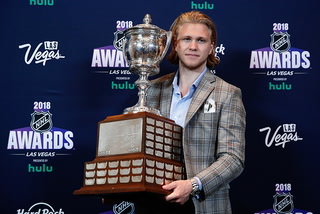 Center William Karlsson had to break the news to Lindberg once he stepped off the ice. 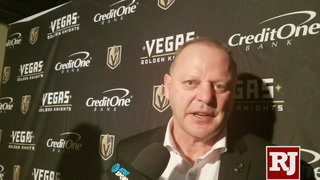 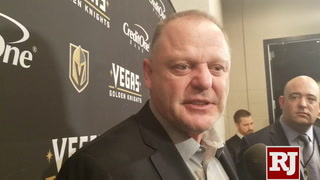 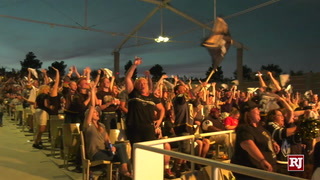 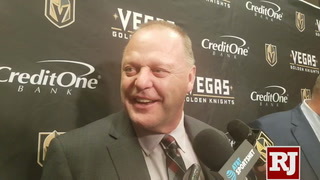 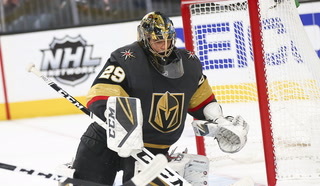 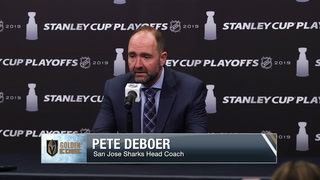 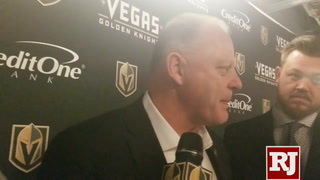 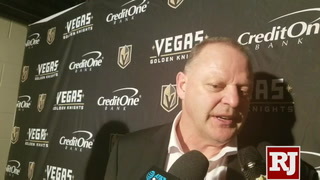 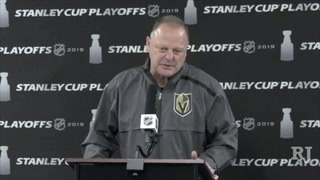 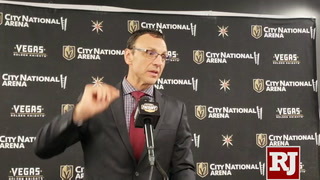 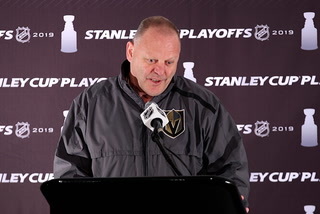 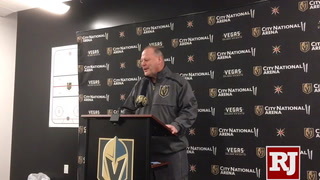 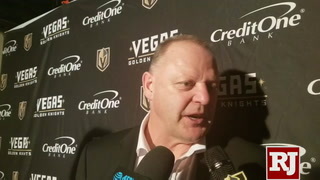 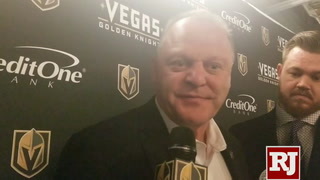 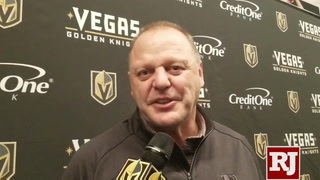 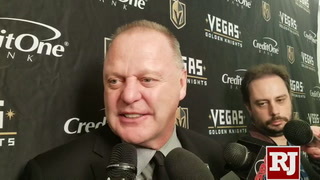 Lindberg, who left before the locker room was open to media, had been with the Knights since the 2017 expansion draft. 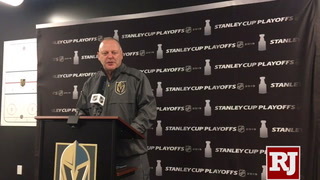 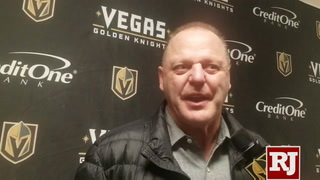 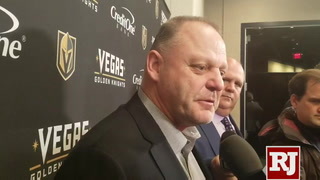 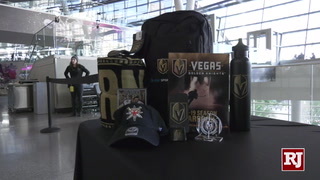 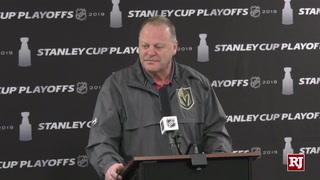 Winger Max Pacioretty said he was well-liked, and Reilly Smith and coach Gerard Gallant praised the forward’s positive attitude. 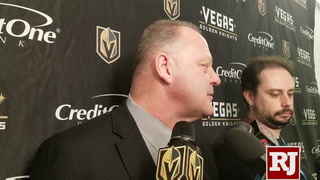 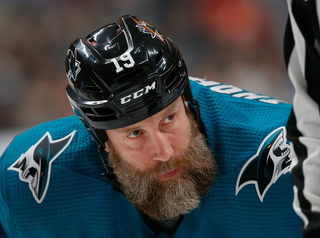 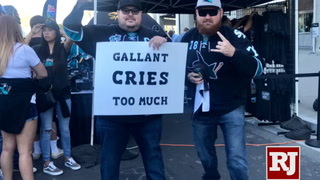 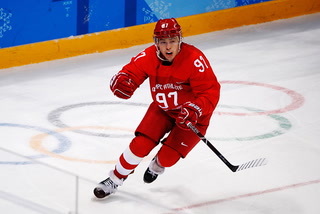 Karlsson lamented the loss of his Swedish countryman. 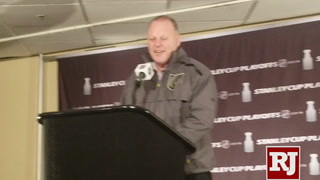 Gallant also expressed disappointment that Lindberg found out about the trade in the way that he did. 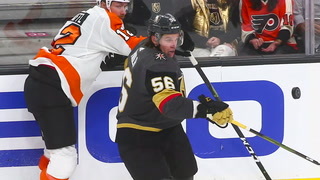 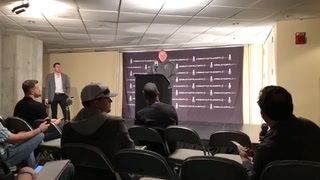 McPhee was still working upstairs when Lindberg reached the locker room. 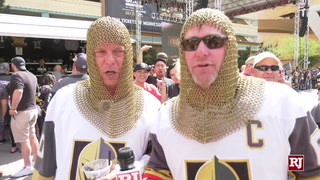 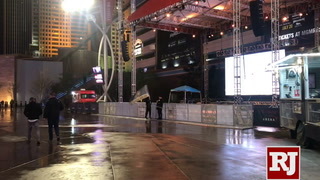 By then, the news had spread around the league. 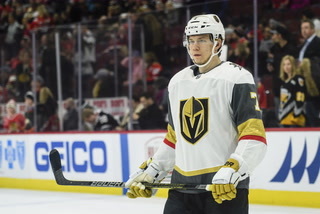 One reason the Knights were comfortable trading away top defensive prospect Brannstrom was the presence of 20-year-old Nicolas Hague. 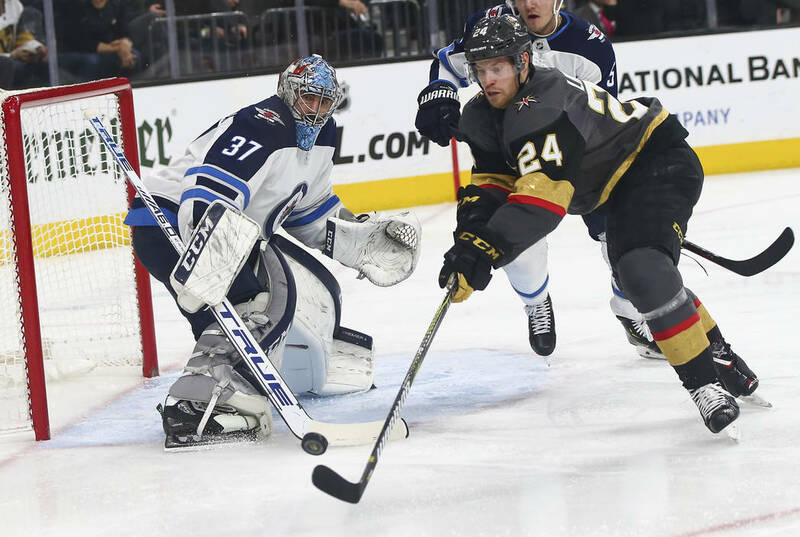 The 6-foot-6-inch defenseman has 23 points (10 goals, 13 assists) in 53 games with the American Hockey League’s Chicago Wolves. 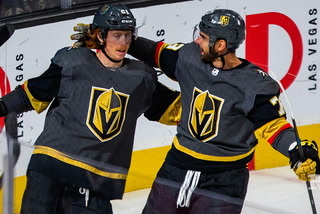 Hague, who was a 2017 second-round pick, is tied for fourth in the league in plus-minus at plus-26. 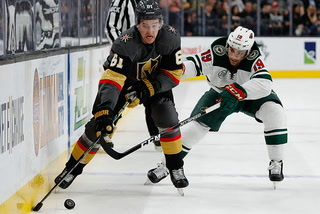 McPhee said he made the Stone trade without thinking of whether injured forward Erik Haula would return this season. 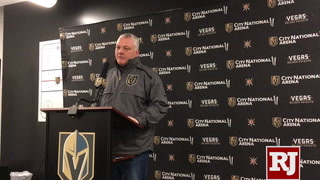 But the Knights haven’t ruled out a return to the lineup for Haula, who is on injured reserve with a surgically repaired right knee.